Xtar has many good LiIon chargers, this is the new top of line model. 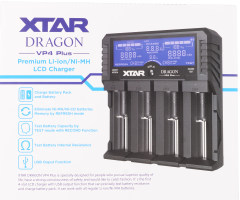 It can charge 4 round cell, a 3S battery pack and a smartphone, it can also measure capacity, or work as a power bank and it has a cell resistance and voltage meter. 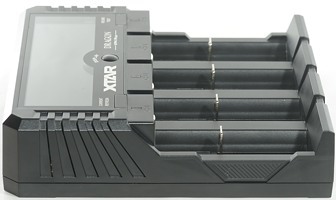 It comes in a cardboard box (I got the charger without a box and the pictures is supplied by Xtar). 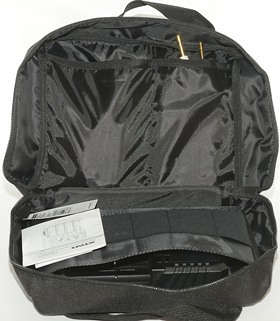 In the box is a bag that contains the charger and accessories, there is also an elastic strip to hold batteries. 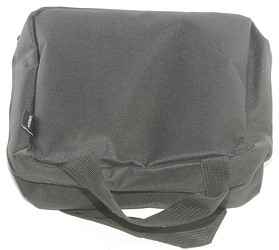 The contents of the bag is the charger, a power supply, the resistance (IR)/voltage probes, car charger, instruction sheet, welcome note and warranty card. 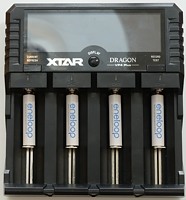 The probes are four terminal and uses a usb connector. 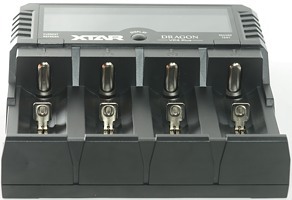 The 4 terminal connection means that it will automatic compensate for any wire resistance and connection resistance at the charger, but it cannot compensate for connection resistance at the battery with the supplied probes. 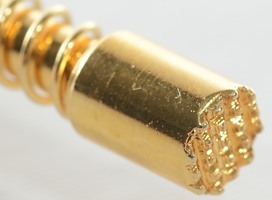 The probes are spring loaded and has a rough surface to get better connection. 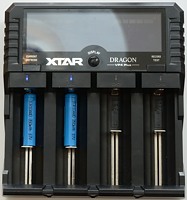 The charger has a DC connector for power input, two usb connectors, one for the IR probes and one for power output. 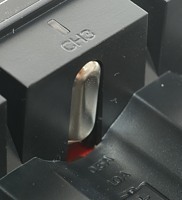 There is also a JST-XH connector to charge a 3S LiIon battery pack. Because the charger is "only" charging at 1A this function do not need the main connection to the battery pack. Current/Refresh button: A short press will change current setting, a long press will start a refresh cycle. Display: A short press will change between displayed slots (With 1 or 2 batteries the display will always show the correct slots), a long press will set the display to lowest brightness, a double click will return to main screen. Record/Test: A short press will recall test data (The result of test runs is automatically saved), a long press will start a test cycle, a double click will turn sound on/off. When showing recorded data the buttons has functions to step between records and delete records. When display brightness is reduced the first keypress will restore it to full brightness. Blue: Discharge, this is valid for both refresh/test and power bank function. Off: Battery empty in power bank or power bank not turned on. Here is the full display captured during power on. 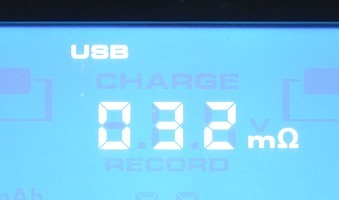 Discharge during refresh mode, the blocks are animated to show that the charger is discharging. 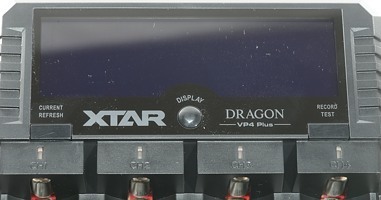 When volt/ohm mode is enabled and the probes connected to a battery the display will change between ohm and volt. The 3S charging do not have much display space, only one icon, flashing while charging and steady when done. 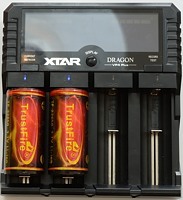 The charger uses the typical construction with a slider, this time with a very long connection at the plus pole making it possible to handle D and 32650 cells. 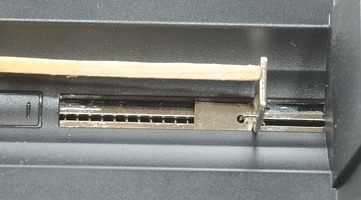 The slots can handle from 30.5mm to 72.8mm. Power consumption when idle is 1 watt (2 watt before display reduces brightness). 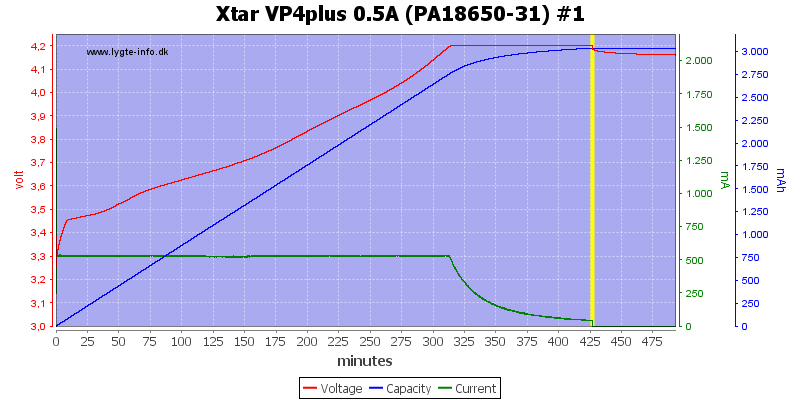 Without power it will discharge the battery with about 7mA (280mA with display on at full brightness). 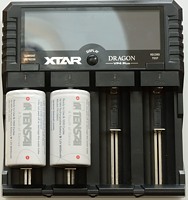 A full LiIon battery will be discharged with 0.4mA when charger is powered. 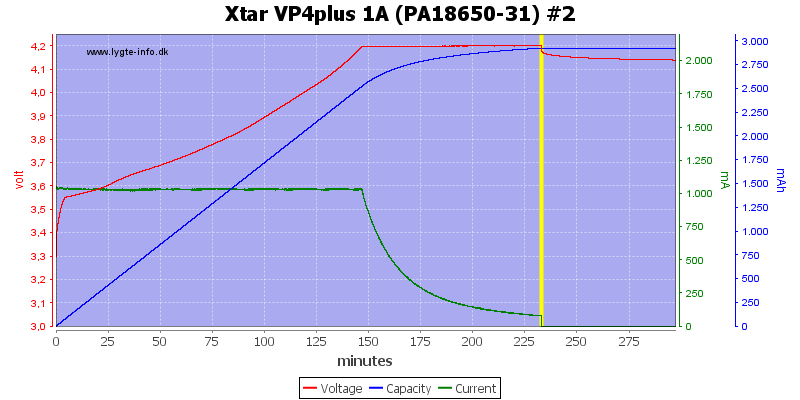 At 0V battery voltage the charger will report error. The charger has a optional beeper. The LiIon charging can charge 4 cells with 0.5A or 1A and two cells with 2A. The other slots are also fine. 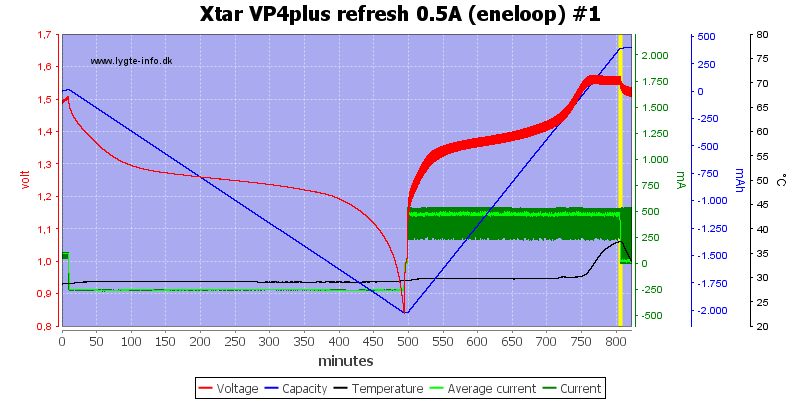 On #3 the charger starts reducing current a bit earlier for some reason. 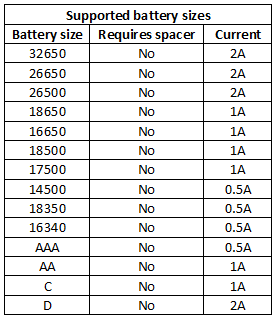 The 2600 and 3400mAh cells are handled fine. The old 2600mAh cell is mostly charged in CV mode (As expected), the charger handles it fine. I did get time for a single run with my new test cell, it works as expected. 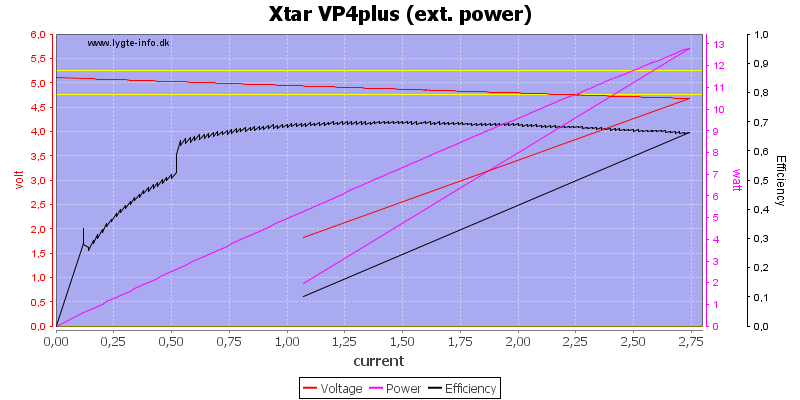 Charging with lower current will reduce the termination current to about 40mA (Good). This works very well with the small cells. 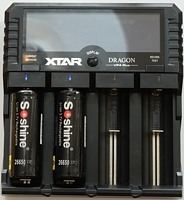 The charger can charge two batteries at 2A, this is for larger cells and high current cells. The termination current is increased to about 120mA. 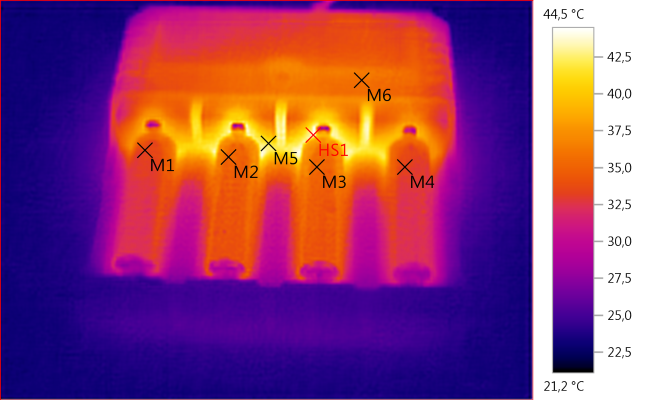 At 1A it is possible to charge four cells. 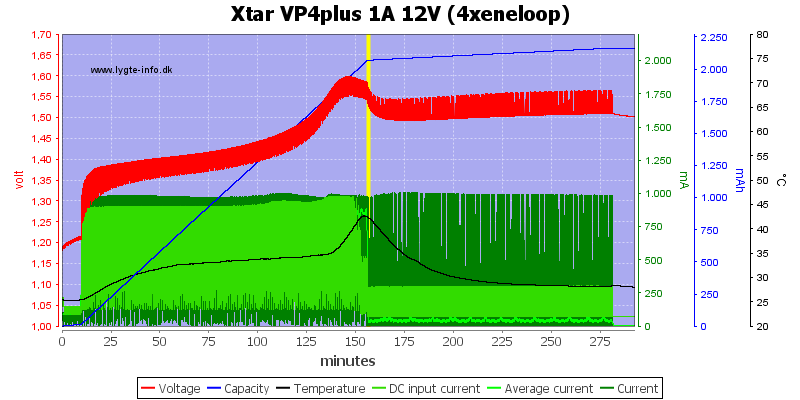 Using my own 12V supply I can see it uses a bit below 2A when charging. The charger needs about 8 seconds to initialize, before it will charge. It is possible to change current at any time during a charger. The refresh function will discharge and charge a cell, the display will show both discharged and charged capacity. The discharge current is either 0.25A or 0.5A, depending on selected charge current. With 1A charge current the discharge current is 0.5A and the cell is discharged down to about 2.6V, this is fine for most modern cells. After the discharge there is a 5 minute rest, before the cell is charged again. With 0.5A charge current the discharge current is 0.25A. At 2A charge current the discharge current is 0.5A, i.e. 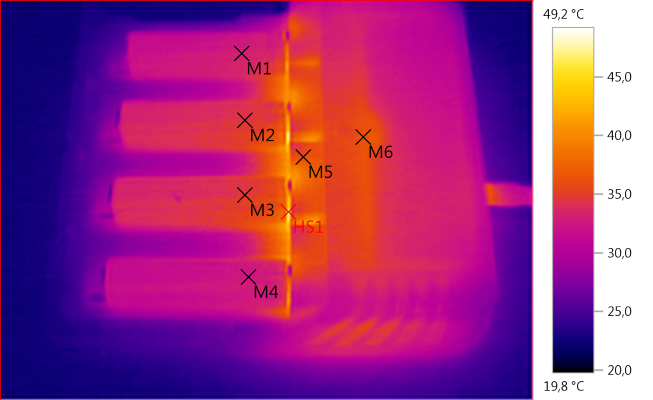 the same as 1A discharge current. 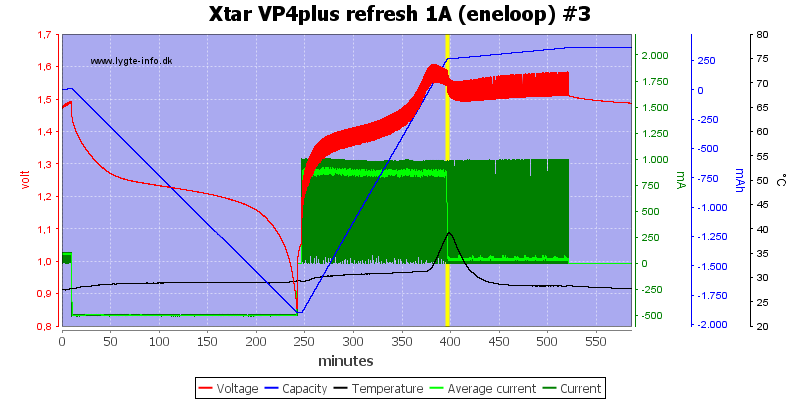 It is possible to refresh four cells at a time. Discharging LiIon the charger needs to get rid of some heat. 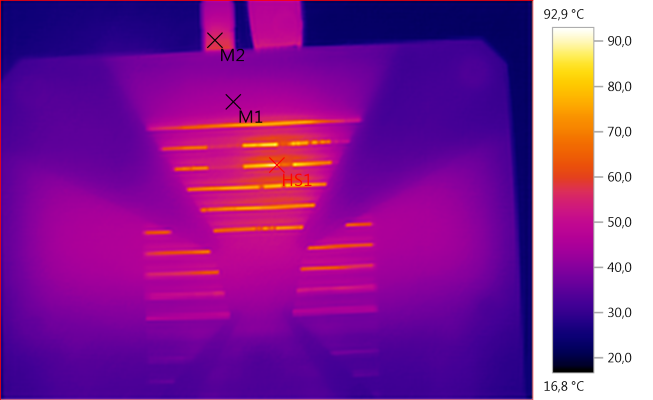 It handles it fine without a fan, the cells stays at an acceptable temperature. The discharge is done with constant current, not pwm (nice). The test mode will charge, discharge and charge again. 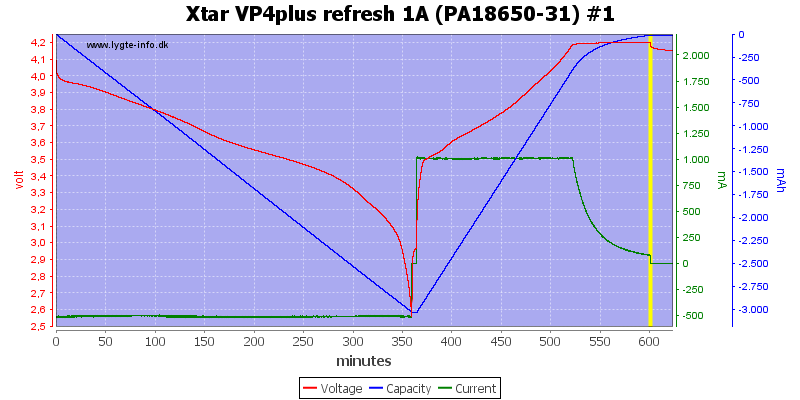 Used discharge current is the same as in refresh mode. 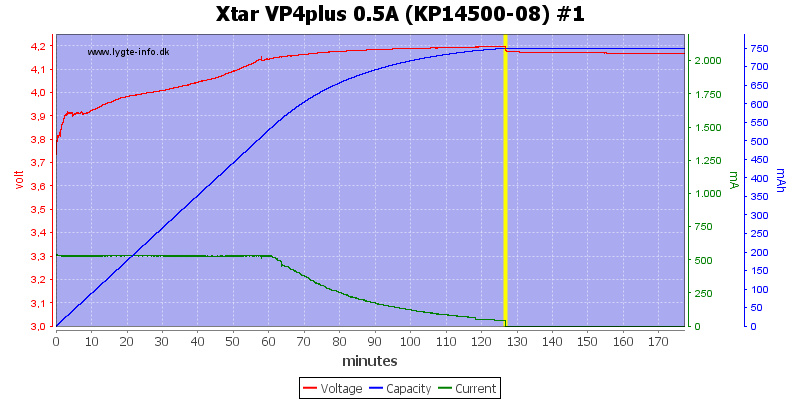 Charging first means the full capacity is measured during discharge. 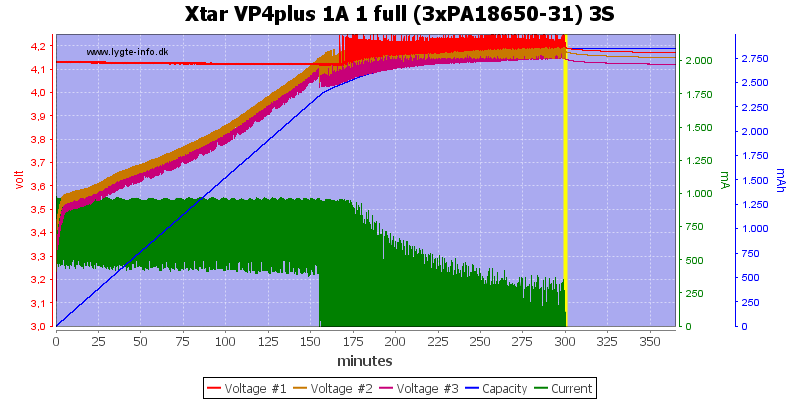 With these two cells it uses a -dv/dt termination, but they still gets the top-off charge. And here is another voltage termination. The 3 high capacity cells are handled fine. Termination is a bit slow on the worn down eneloopXX, but that is acceptable. It do also terminate at 0.5A on a AA cell. No problems with the AAA cell. 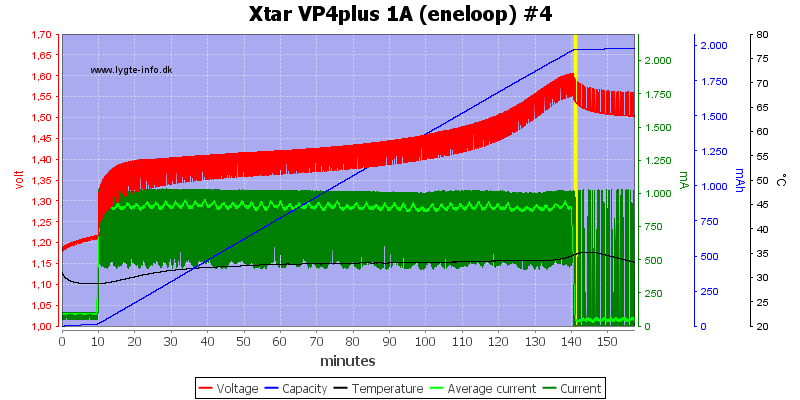 The top-off is still two hours, but with lower current (nice). The 2A charge is also started at low current and looks fine. 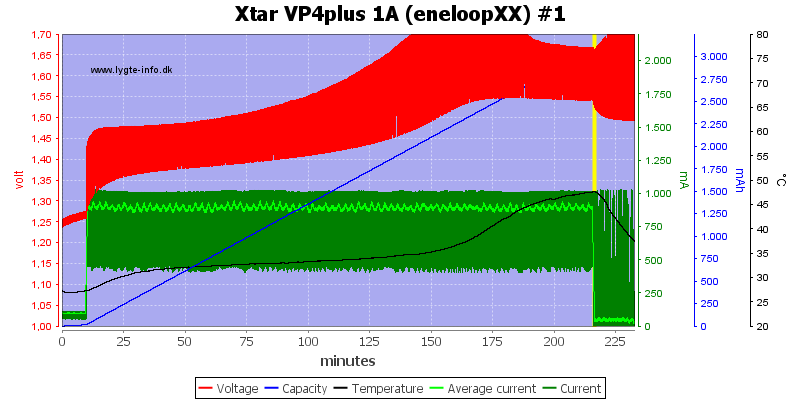 Due to the first 10 minutes at low current it takes about 13 minutes to detect the full cell. 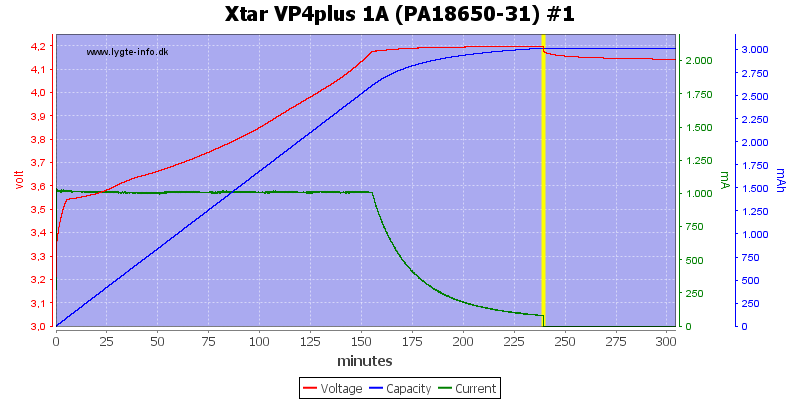 This time on voltage, it will use longer time if it needs to use -dv/dt detection. 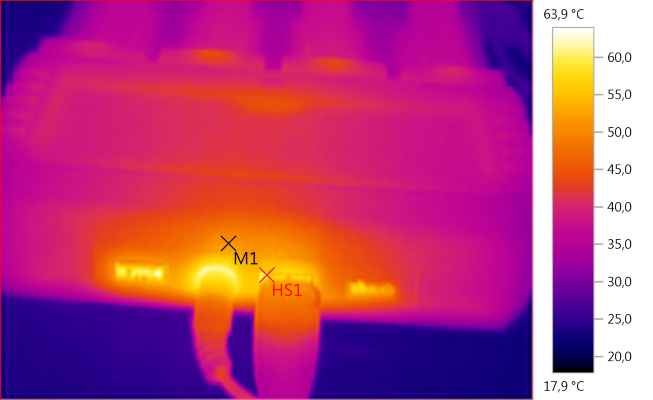 Using my own 12V power supply I can see the current drain is about 1A. 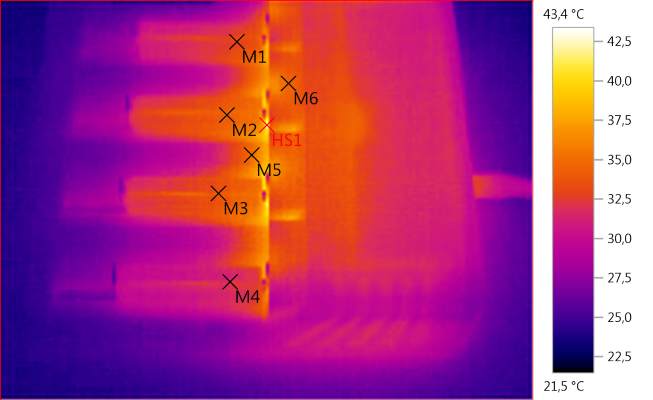 The charger needs between 6 and 7 seconds to initialize a NiMH charge. The low current charge will last for 10minutes, before the charger switches to selected current. It is possible to change current at any time. As usual with NiMH chargers the current is turned off for voltage checking. 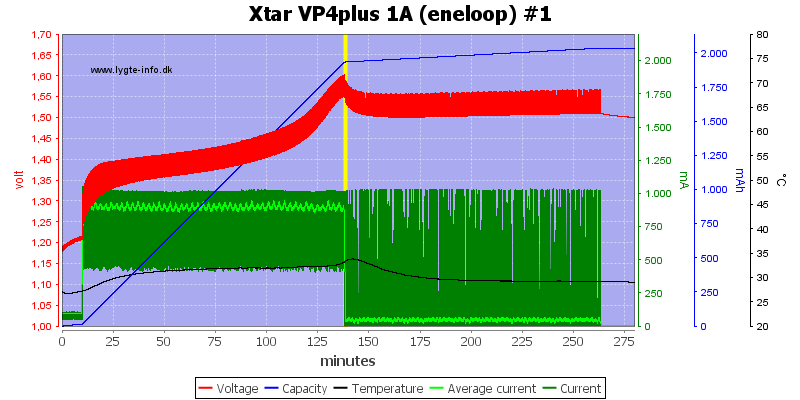 Top-off charge is done with pulses at the selected current. The top-off current will be about 6% of the selected charge current. 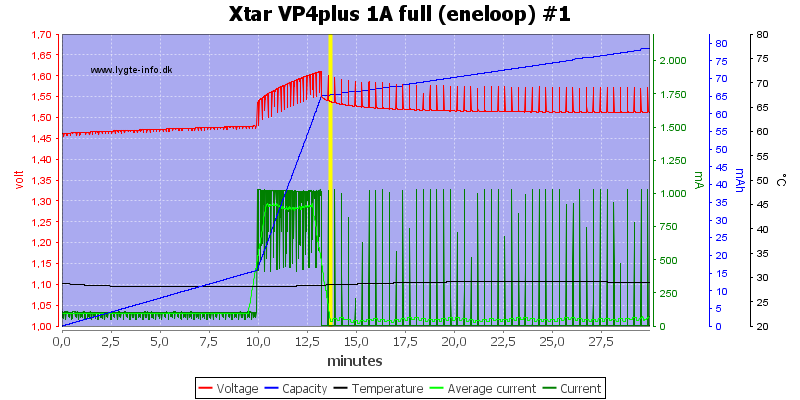 Here is the 2A top-off pulses. Refresh mode will discharge and then charge the cell. Discharge current will depend on selected charge current. 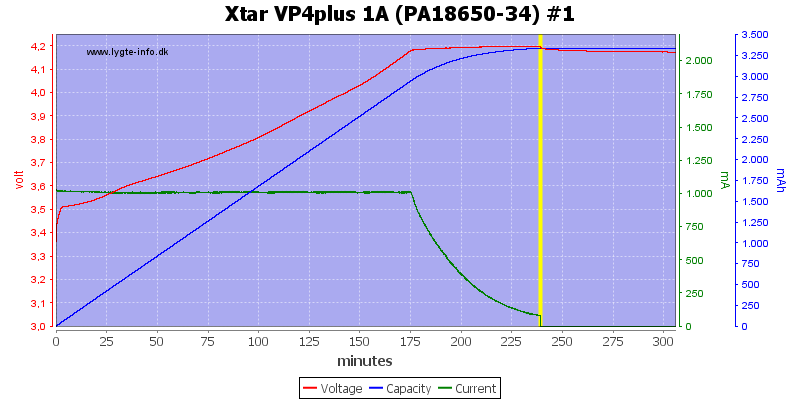 0.5A charge means 0.25A discharge, 1A and 2A charge means 0.5A discharge. The charger insist on doing the 10minutes low current charge, before starting on the discharge. 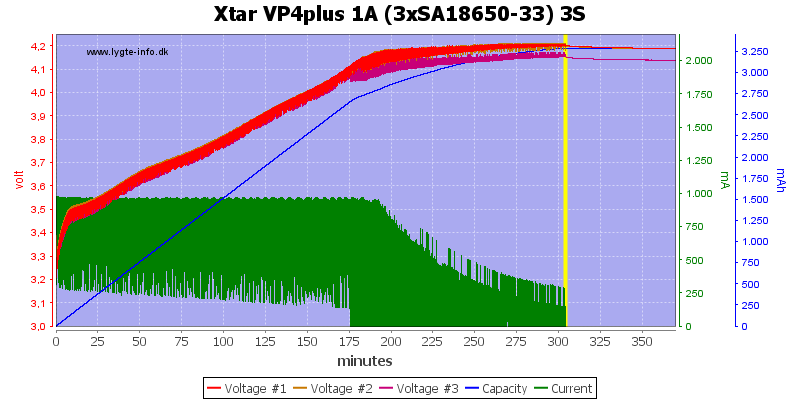 The discharge is down to about 0.85 volt. After the discharge there is a 5 minute pause, before the battery is charged. 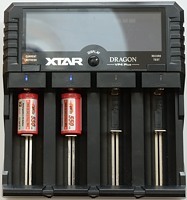 The charger can discharge four cells at once. 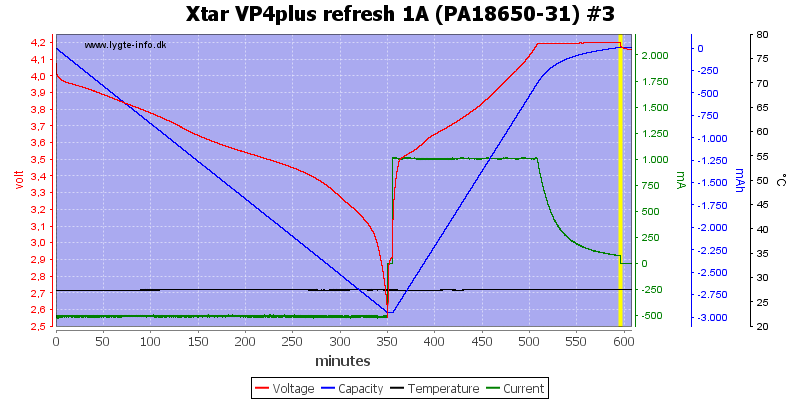 The charger stays cool when discharging NiMH batteries. 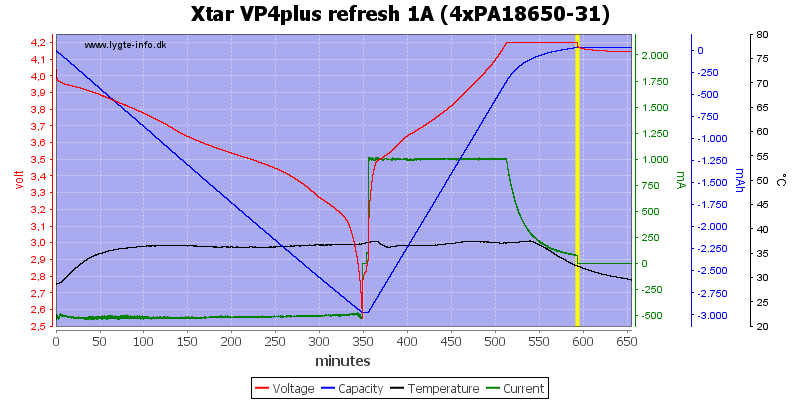 The discharge current at different charge settings. The test will charge, discharge and charge again. 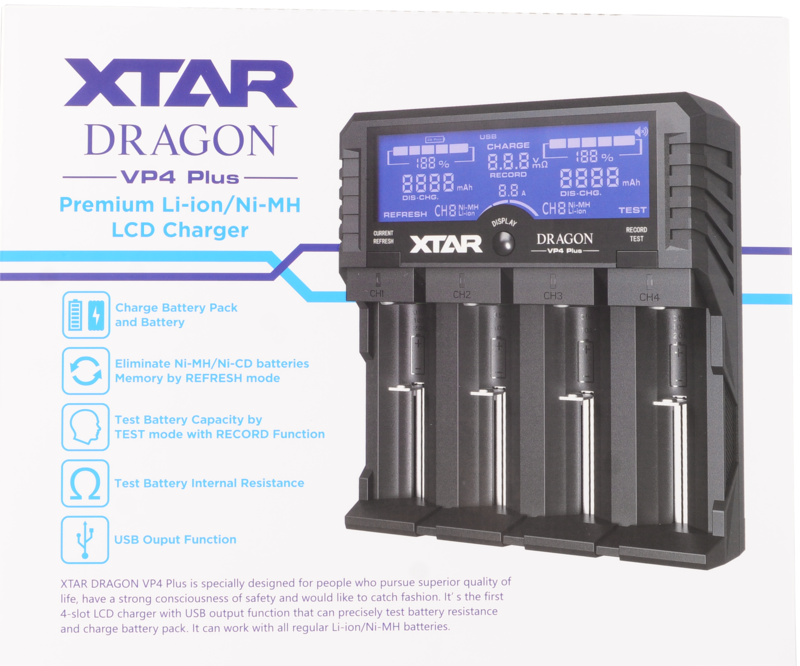 The charger do not use a top-off charge before discharging when terminated on voltage, this may give a slightly low capacity for some cells. 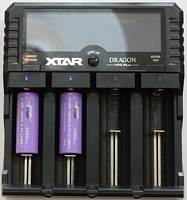 The charger can also do a balancing charge on 3S battery packs with a JST-XH connector. 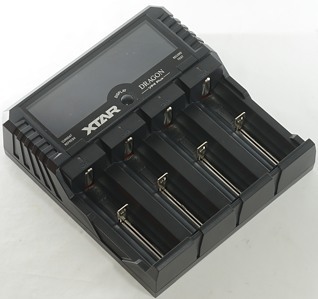 The charger do not use the main leads to the battery pack, only the balancing connector, this is acceptable due to the fairly low charge current (For a RC pack). 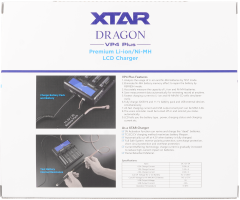 The charger uses a 1A charge current and will do a CC/CV charge. 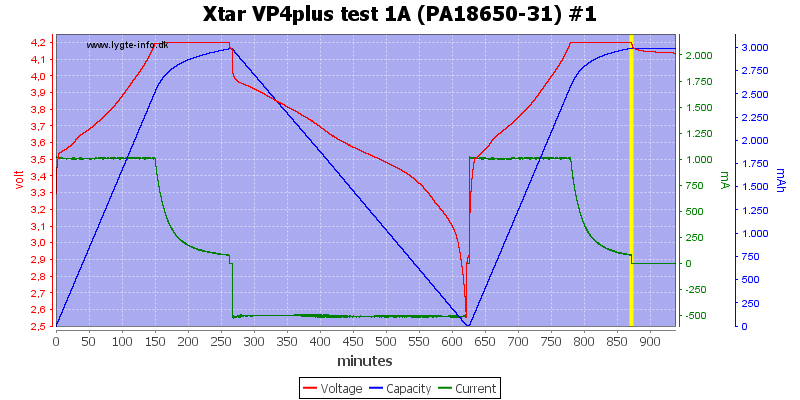 It looks like there is a slight voltage difference between the charged cells (This test was done with new unused cells). 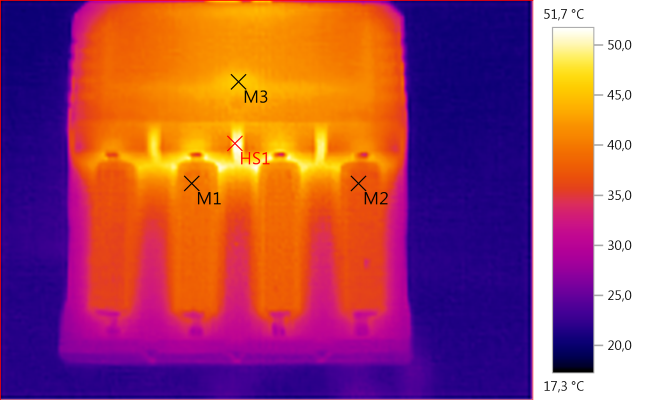 Here the battery pack contained 1 full cell and two empty cells. The charger balances them fine. During charge the current is pulsed, probably to allow measuring without have trouble with wire resistance. To start IR measurement the probes must be shorted, to leave IR mode double click the display button, the charger will also leave IR mode after about 10 minutes. 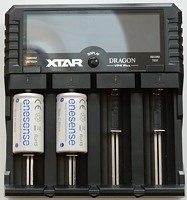 Due to the way the measurements are done the charger can only measure batteries, not resistors. 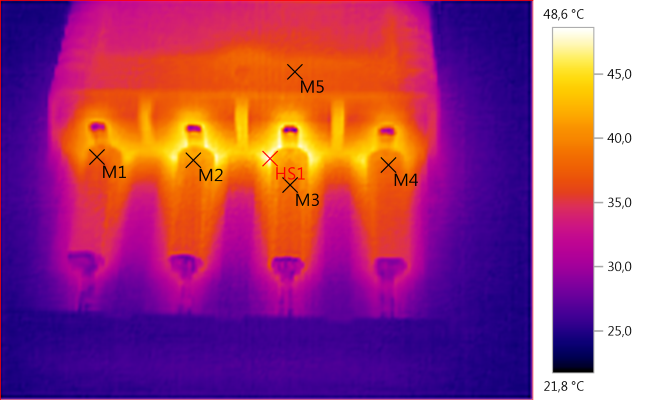 The above values is with LiIon cells, the result is a little bit on the low side, but very consistent. With NiMH the results are a better, but due to the 150mOhm maximum I could not do the last row. A new measurement is done each 2.5 seconds. The probes must not be used on the batteries in the charger! Does not turn output off automatic when unloaded. Usb output uses automatic coding with Apple 2.4A as maximum. 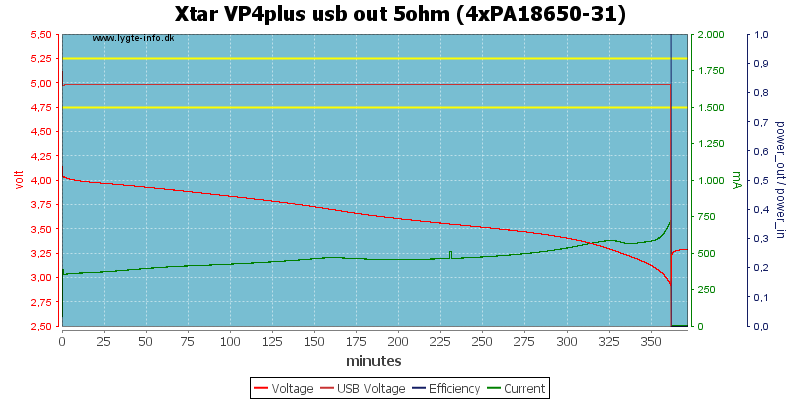 When running usb output on batteries the blue leds (discharge) is on. 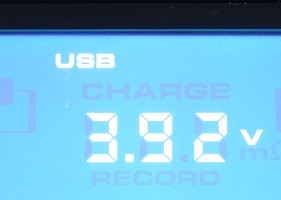 When running usb output on batteries display is on and shows charge state. 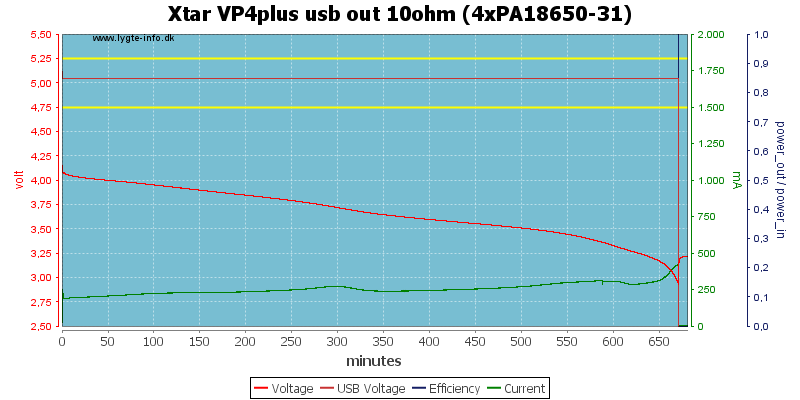 When running usb output on batteries usb output need a load of at least 100mA. 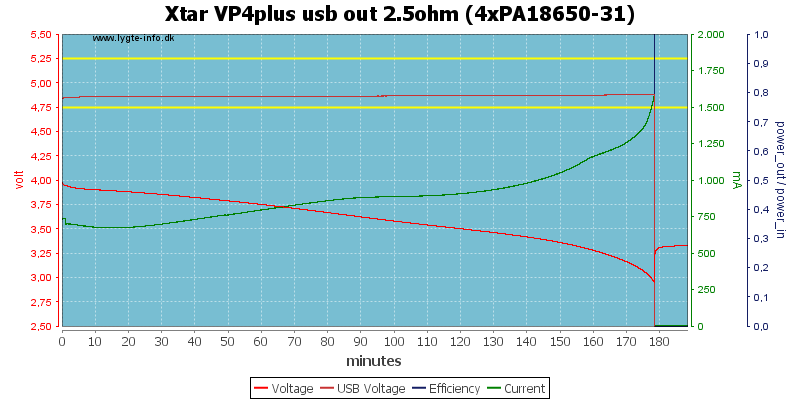 The usb output has a fairly high current drain, also when off. I.e. do not store batteries in the charger. 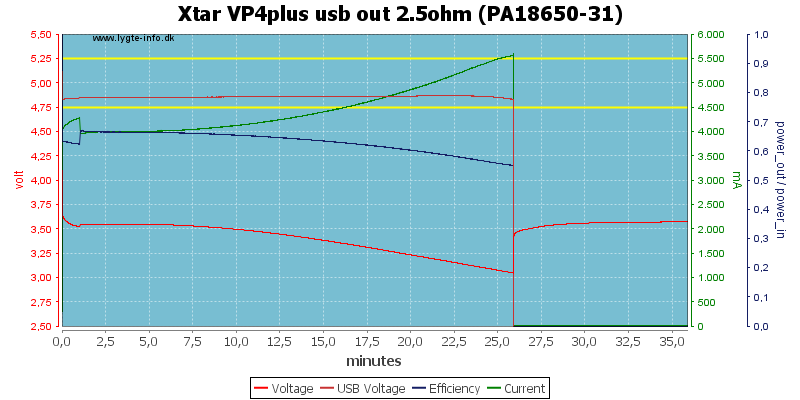 It is possible to charge batteries while usb output is used. The charger will not work as UPS, usb output turns off when mains voltage disappears. With a single 18650 battery I could draw about 2.2A before output voltage starts to drop. 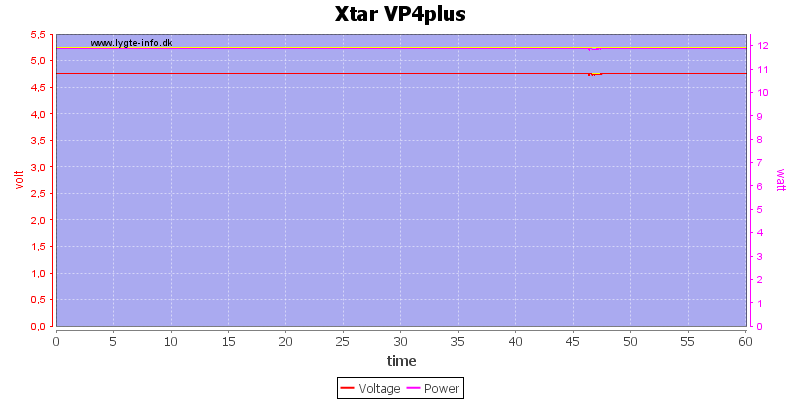 Output is switched off at 2.7A. With four batteries the output can be maintained up to 2.7A. 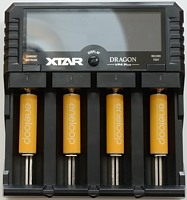 With external power it can also deliver 2.7A. 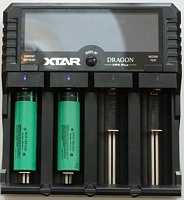 With four batteries it can maintain 0.5A output for about 11 hours. Using only one battery the time is down to 2½ hour. 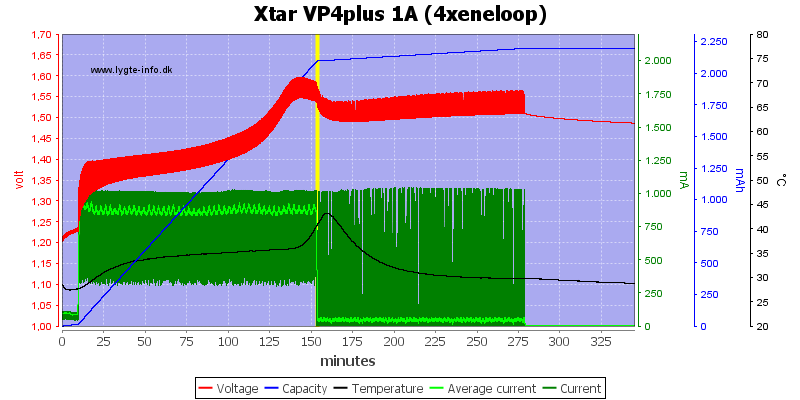 At 1A the output can be maintained for 6 hour. 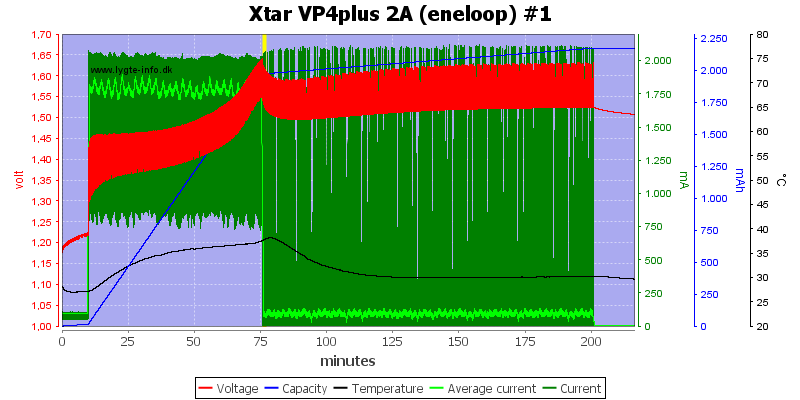 And at 2A it will maintain output for 3 hours. With one battery it will maintain output, but not for very long. With mains power and 2.5A out it did run for one hour. The IR photos below are taken about 45 minutes into the one hour run. 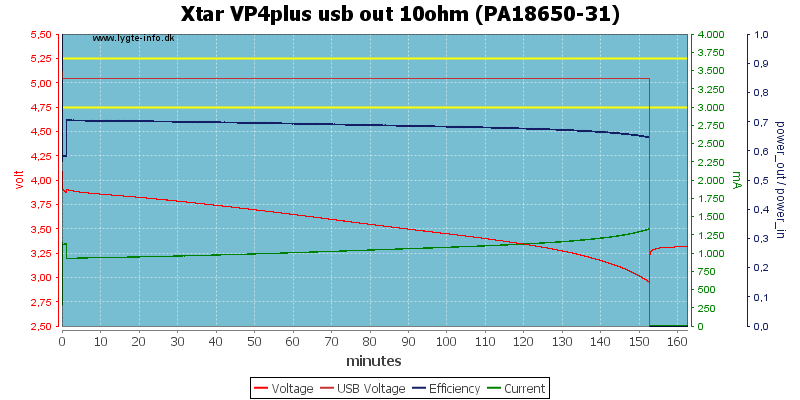 As a power bank the usb output has very low noise, at 0.5A it is 8mV rms and 58mVpp. At 1A it is 13mV rms and 78mVpp. The noise is also very low when mains powered. At 0.5A it is 25mV rms and 119mVpp. 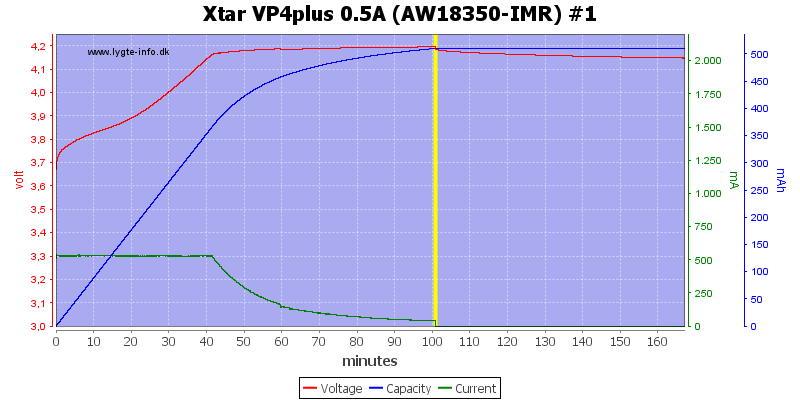 At 1A it is 23mV rms and 104mVpp. At 1A it is 20mV rms and 131mVpp. Charging LiIon works perfectly as expected, the display shows a charge percent, not a voltage. 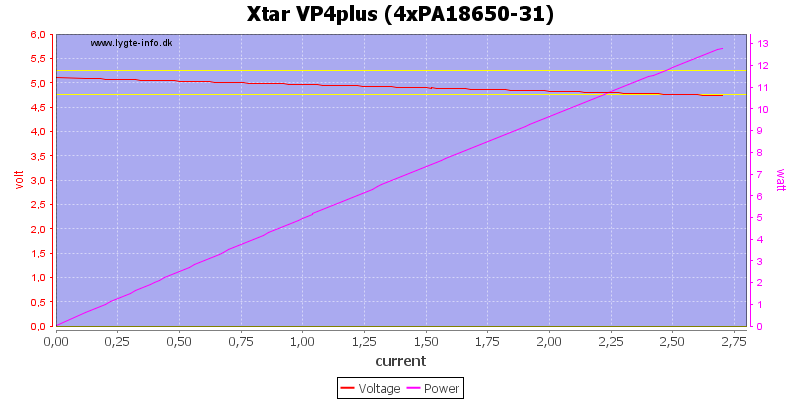 This can be discussed, the percent is better at showing charge status (Voltage would show 4.2V during CV state, % can reflect charge current), but many people (including me) like to see the voltage. Charging NiMH also works perfectly. 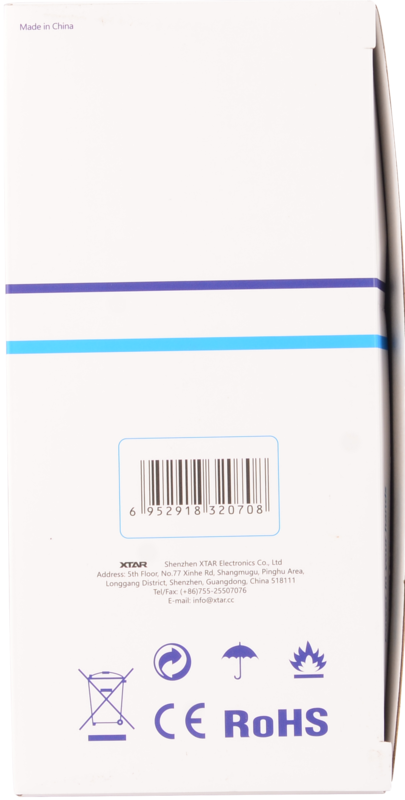 Refresh is used to cycle a cell, can be useful for a NiMH that has not been used for some time. 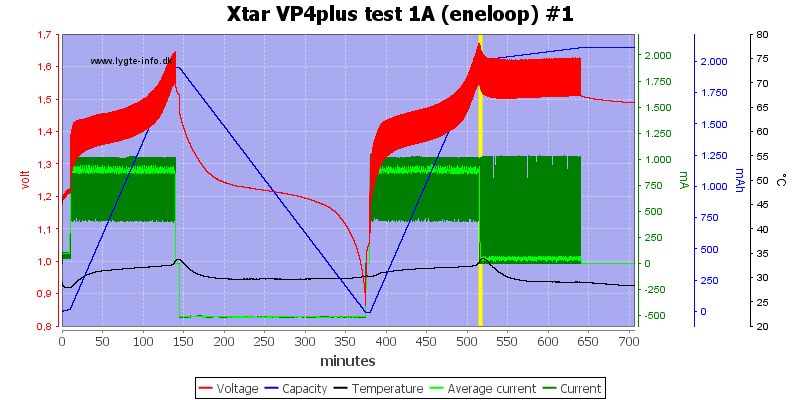 Testing gives an estimate of capacity and will keep an log over tested cells. The usefulness of the log can be discussed, but it is useful if you remove the batteries or turn the charger off before noting the numbers, the log will remember them. Charging 3S pack, I do not really know how useful this is, there exist many pack sizes (2S, 3S, 4S, 5S, etc.). I would have liked an output to charge a 2S bicycle pack. 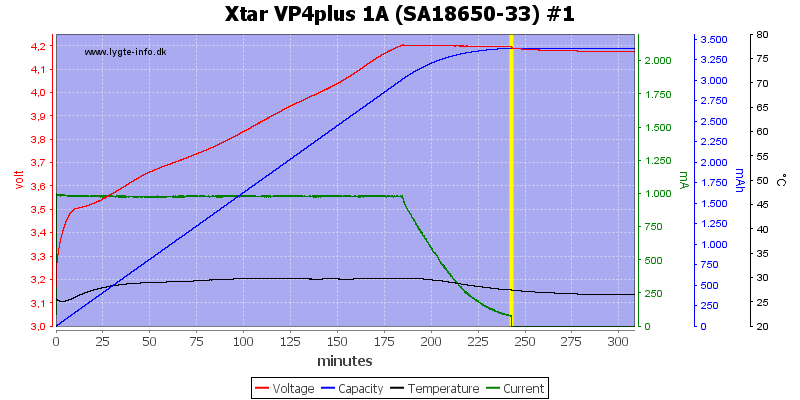 Internal resistance/voltmeter, this is with separate probes. 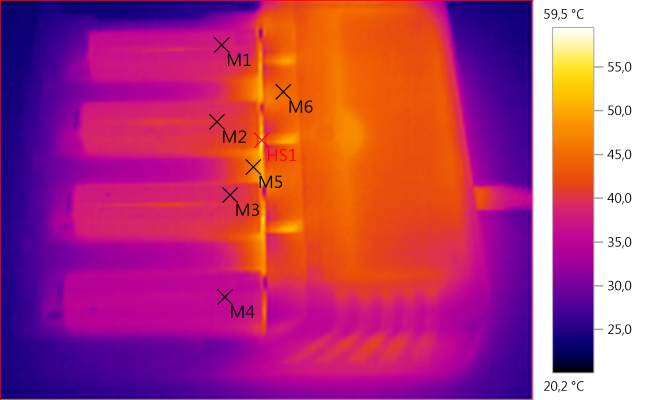 This gives very consistent results when measuring IR, much better than the typical in slot measurement on some chargers, the voltmeter is also good. Usb output is both a power bank and a normal usb charger with, it has a auto coding chip, low noise and can deliver 2.4A making it fairly universal. It is a very good charger, but for some people it is probably for simplified. 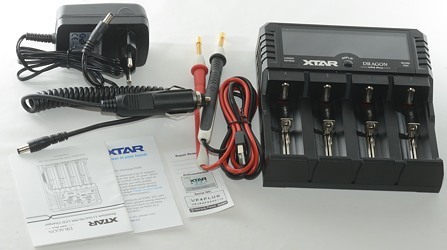 The charger was supplied by Xtar for review.